A 23-year-old Albuquerque woman has been arrested after she allegedly confessed to police that she suffocated her 3-year-old son as he slept. Tiffany Toribio, is believed to have killed her son, Tyruss "Ty" Toribio, sometime on May 13th by placing her hand over his little mouth and nose and suffocating him. As the boy lay there dying, she began to have "second thoughts" and subsequently performed CPR on him. After reviving him, Toribio told police that she had second thoughts again and one last time placed her hand over his mouth and nose and killed him. She then buried her son underneath the bridge at the playground in Albuquerque. Toribio had been living in the park after she had been kicked out of her mother's home, who reportedly had thrown her out because she was "ignoring the boy and withholding affection". 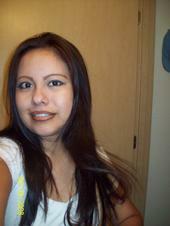 Besides the above MySpace profile, Tiffany Toribio also maintained another one found here. One again thanks to our STL Watchdog for the MySpace links and article. how could a mother possibly do this? she should not have taken away the good life that his son that may have. each one of us has it's own way of life. Instead of killing her son, she should have find ways to make his life more meaningful and wonderful. we can't do anything because it's done. Let's just pray for the rightful judgment to this mother and hope that she will be enlightened that what she did is totally wrong.